The Palestinians have no illusions about the Trump administration’s much-discussed peace plan, academics of Palestinian origin Dr. Mazin Qumsiyeh and Kamel Hawwash told Radio Sputnik, casting doubts on reports that Donald Trump and Benjamin Netanyahu are about to establish a Palestinian state. As Israeli legislative elections near, the political struggle escalates. On 24 February, Naftali Bennet, the Israeli education minister and co-chairman of the Hayamin Hehadash Party, claimed that after the election Prime Minister Netanyahu is going to establish a Palestinian state, in accordance with US President Donald Trump’s still-veiled peace initiative. On 25 January the Israeli education minister continued to verbally attack the prime minister, citing the Monday interview by US special envoy and Trump’s son-in-law Jared Kushner on Sky News Arabic. “The American peace plan is very detailed and will focus on drawing the border and resolving the core issues,” Kushner said, referring to the decades-long Israeli-Palestinian conflict. According to Bennet, Kushner’s words indicate that “the day after the elections, the Americans will push the Netanyahu-Lapid-Gantz government to allow the establishment of a Palestinian state on Route 6, to agree to the division of Jerusalem — and Netanyahu will be forced to acquiesce”. As The Times of Israel explained, the education minister was referring to “a possible (though not particularly likely)” coalition of Netanyahu’s Likud, the new “Blue and White” alliance (Kahol Lavan) led by Yair Lapid and Benny Gantz. Commenting on Bennet’s statements, Netanyahu suggested that the education minister was “stressed and a bit confused” ahead of the elections. Speaking to Radio Sputnik, Dr Mazin Qumsiyeh, a professor at Bethlehem University, and a Palestinian activist, cast doubt on the purported Trump-Netanyahu plan to establish a Palestinian state. Dr Qumsiyeh pointed out that the Trump administration had long been adhered to the right-wing agenda and is unlikely to suddenly make a U-turn. To illustrate his point, the Palestinian activist recalled Trump’s 2017 decision to move the US Embassy to Jerusalem thus recognising the city as Israel’s capital. “In order to keep their appearance, so to speak, they keep talking about a peace plan. Now a peace plan, of course, can be a pacification plan, or can be a surrender plan, or can be anything else, but to call it a peace plan as such, at this moment there’s really no peace plan or peace ideas for the US,” the professor said, presuming that the new peace plan cited by Jared Kushner would benefit Israel. Likewise, the academic expressed scepticism about the probability of successful peace negotiations between the Palestinian Authority and Israel after the elections. Professor Kamel Hawwash, a British-Palestinian academic, writer, and chair of the Palestine Solidarity Campaign, echoed Dr Qumsiyeh, saying that “to put Netanyahu and Palestinian state in the same sentence is pretty wrong”. According to Hawwash, Bennet’s statement should be taken “with a pinch of salt”. The academic noted that the Trump administration had already started implementing its “peace plan” by recognising Jerusalem as Israel’s capital “without [any] agreement from the Palestinian side”. “So, neither the Israelis nor the Americans can be trusted about delivering a Palestinian state, especially because they are not talking to the Palestinians themselves; the Palestinians are the people with whom Israel needs to make peace and you can’t do this without talking to them,” the British-Palestinian academic emphasised. 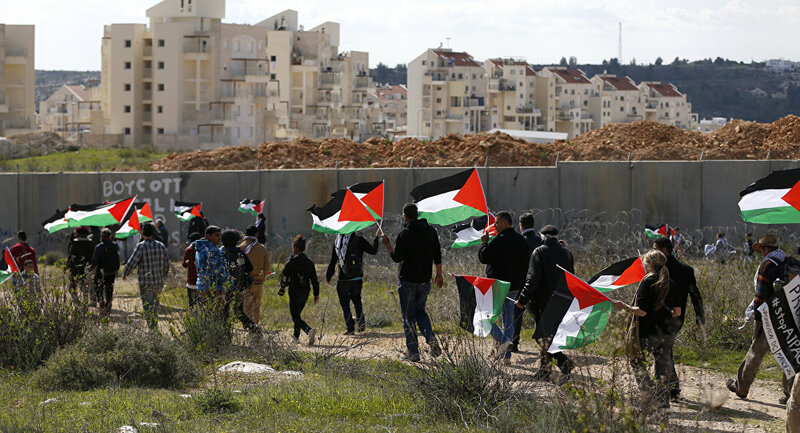 Hawwash further suggested that “Israel is not really interested in giving up any land and especially giving up its control over Jerusalem and the entrances into the Palestinian areas from Jordan and is besieging Gaza”. As for Trump’s peace plan, “it would be quite surprising if there is a just solution put on the table after the Israeli elections, especially because the Americans have refused to talk to the Palestinians”, he opined. “I think the prospects for this deal to fail are pretty high,” Hawwash concluded.